Ranjan Kaul is an independent Publishing and Editorial Consultant with focus on business strategy and strategic management. He retired from active service in December 2015 after serving as the Managing Director of Oxford University Press India. 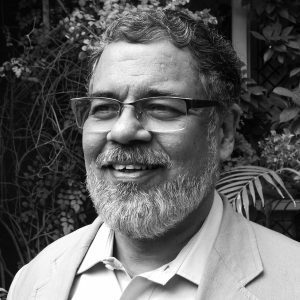 While working as the Managing Director of OUP India he also held additional responsibility of strategizing higher education across the south and south-east region, including China, Malaysia, Pakistan and India. He has over four decades of rich experience in educational and professional publishing with leading multinational publishing companies including McGraw-Hill and Sage besides OUP. After joining OUP in 2001, he was responsible for setting up OUP India’s higher education division; earlier, he developed and established the professional and business imprint, Response Books, for Sage India. He is passionate about excellence in publishing and believes that publishers have a key responsibility to provide quality content to Indian students so as to raise the educational standards in the country. Widely recognized as one of India’s foremost publisher and specialist in higher education, he was invited to serve as the Jury Member for the 11th FICCI Awards in Higher Education in 2015. A highly creative individual, Ranjan is also a writer and the author of two books – Through the Forest, Darkly (novel, Hachette India, 2010) and Silent Realities (short story collection, Niyogi Books, 2016). He also draws and paints.